Situated in the heart of Blaauwberg, Blue Mountain Guest House is a warm, hospitable B&B, offering accommodation at very reasonable rates. All the en-suite rooms have private entrances, TV, video, MNet and satellite, tea/coffee facilities and radio/alarm clocks. Crystal-clear, salt-water swimming pool and self-catering guest kitchen is available. Look forward to many special touches! Blue Mountain is in close proximity to a wide variety of restaurants and shopping centres, including Canal Walk and V&A Waterfront. For some of the best kitesurfing and windsurfing conditions in the world, this is definitely the place to be! Start the day with a scrumptious breakfast served in the sunny breakfast room. If you are on a mission to discover the West Coast region and the wine routes, this is the perfect starting point! 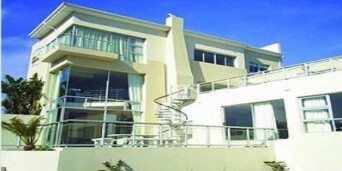 Discover great accommodation in Bloubergstrand. 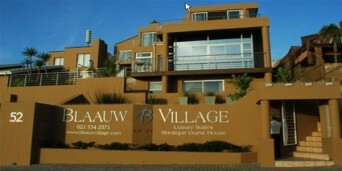 The village lies at the foot of Blouberg (Blue Mountain) and has a wonderful view of Table Mountain across the bay. The view is even more stunning when a south-easterly wind is blowing resulting in a white 'tablecloth' of clouds on top of the mountain. Bloubergstrand accommodation provides you with an amazing experience, some provide stunning sea and mountain views and the perfect position to explore. With so much to do, and plenty of wonderful things to see this village will leave you craving more. Visit the magnificent beaches, some right on your doorstep while others a little way down the road. There is Dolphin Beach, Sunset Beach, Table View and Silwerstroomstrand where sun worshippers, swimmers and surfers alike all congregate to enjoy the warm sunshine and the fresh Atlantic Ocean. The shipwreck of the Reyfersdal lies just off Silwerstroomstrand, a reminder that the Ocean though beautiful is unforgiving. Get some of the great accommodation Bloubergstrand has to offer then choose a restaurant to enjoy a leisurely day, such as Moyo where you can sit outside with a view of the sea, the sun on your back and your feet dipped in a cold pool of water. Or if you would enjoy some fine dining why not dine at 'On the Rock', a beautiful restaurant, with food that will make your mouth water. If you plan to stay in Bloubergstrand then you will have the perfect position to explore some crown jewels of the Western Cape. With Cape Town city centre only 25 minutes away there is no stopping the Bloubergstrand based traveller from exploring this City. Firstly there is the V&A Waterfront, with a harbour, shops, and entertainment this is a must see. Then there is Chapmans Peak, where a drive around this coastal road will take your breath away. The Winelands are only 30 minutes away so take a drive and stop at one of the many wine farms to indulge in a late lunch and some wine tasting. A boat trip to Robben Island is a wonderful historical visit, where you can see how the political prisoners lived, including Nelson Mandela -and the boat ride itself is a fantastic experience. 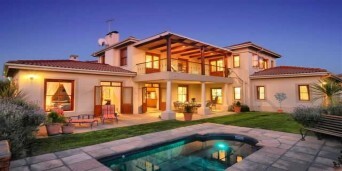 Get accommodation in Bloubergstrand Western Cape to experience the magic that this province has to offer.